Aggressive driving isn’t just a crime, it also results in injuries and financial losses for thousands of victims every year. If you’ve been hurt in a vehicular assault, seek compensation with help from a Salt Lake City road rage car accident lawyer. Road rage is aggressive driving that a motorist directs toward another driver. The National Highway Traffic Safety Administration (NHTSA) considers road rage an assault with a motor vehicle. In recent years, the number of reported road rage accidents has increased, with many of these incidents causing serious injury or death. 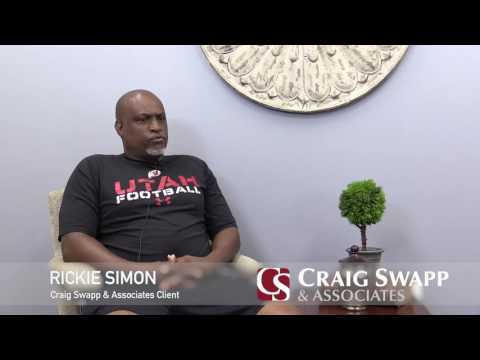 After suffering an injury sustained in a road rage accident, it’s best to discuss your legal options for financial compensation with an experienced Salt Lake City road rage car accident lawyer from Craig Swapp & Associates. Road rage is a serious crime, and it is unfortunately the cause of a large number of fatal accidents every year. According to the NHTSA, the rate of fatalities in accidents involving road rage has increased every year since 2004. In addition, nearly eight million drivers in the United States have experienced extreme episodes of road rage, either through direct confrontation and verbally abusive behavior or by intentionally causing an accident. Furthermore, 56 percent of all motor vehicle crashes and 66 percent of traffic-related deaths are contributed to aggressive driving, according to a study conducted by the AAA Foundation. Even if the aggressive driver who assaulted you is charged with and convicted of a crime, this will do nothing to compensate you for your injuries, damages, and losses. However, the conviction may be useful in proving your need for restitution in a personal injury lawsuit. In the case of punitive damages, these are normally only awarded as punishment to the at-fault party. While they don’t always apply in many personal injury cases, they are more likely to be awarded in road rage crashes because the at-fault driver was demonstrably out of control and breaking the law. Getting hurt or traumatized in a road rage crash can be a horrifying experience that can be difficult to forget. If you have suffered injuries at the hands of an aggressive driver, it is important for you to understand your legal rights and know what your options are for recovering damages for your injuries and losses. A Salt Lake City road rage car accident lawyer from Craig Swapp & Associates can help you maneuver through the complicated legal system and obtain the maximum compensation possible for your claim. Contact us at 1-800-404-9000 to schedule your free, no-obligation case evaluation. You can also fill out the online contact form at the bottom of this page, and someone from our office will contact you at your convenience.